Looking to expand your culinary horizons in the new year? Look no further — our food panel reviews Edmonton's food scene highlights. 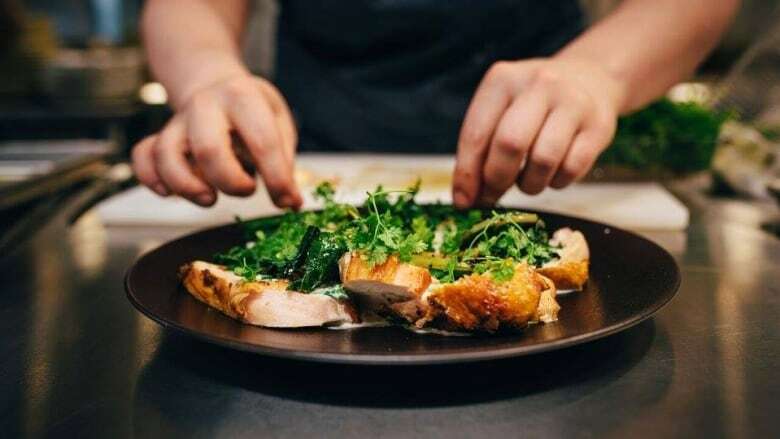 It's been a huge year in Edmonton's burgeoning food scene, and with so many new and specialty eateries it can be difficult to know where to start. 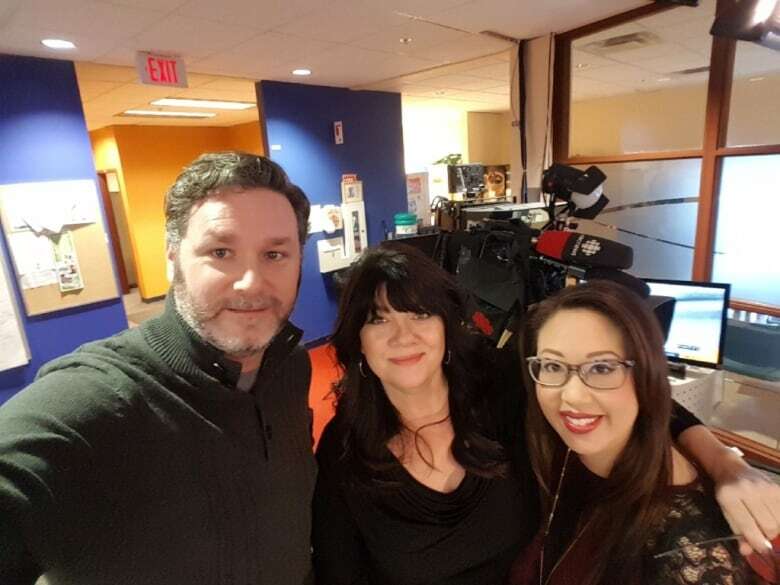 Not to fear, CBC Edmonton's intrepid food fiends have done the footwork for you. Here's the food scene's best of 2017 in our city. Where I ate the most in 2017:Lock Stock Coffee for morning food; Uccellino for my evening addiction: pappardelle pig's head and prosciutto ragu bianco. Where I ate the most in 2017:The Sequel Cafe. I love soup. I could eat it every day. It's my lunch of choice during working hours and, at least a couple times a week, I get my soup fix at Sequel Cafe. It's conveniently located across the street from CBC and has excellent homemade offerings from carrot ginger and corn chowder to red lentil. I never miss the beet borscht special on Thursdays. Where I ate the most in 2017:Jack's Burger Shack. Jack's has become the only place I go for burgers, which means when the craving hits, and it does often, I'm travelling to St. Albert. The patties at Jack's are hard-seared on the flattop, creating a delicious crust that highlights the flavour of the beef. Go for the Quebecer, topped with crispy fries, gravy, curds and ranch to up your Canadian street cred. A state-of-the-art-kitchen, a massive charcoal grill, and a well-travelled chef with an unyielding respect for ingredients are the reasons why Biera secures my pick for best new restaurant 2017. I have just as hard a time deciding between Chef Christine Sandford's radishes and turnips as I do between the crispy skate wing and wort-glazed beef ribs. This spot in Edmonton's expanding Ice District was my happy place this year. You can taste real intention and care in the small plates that change with the seasons. The same goes for the service, ambiance, and drinks. I dream of the parmigiano soup. I marvel at the soft, pillowy gnocchi. I crave the roasted cauliflower. And let's talk about the posset. The little-known (to North Americans) dessert is the best ending to a meal in the city right now. Vegetarians will also appreciate the well-executed and inventive offerings here. I'm calling it – 2017 was the best year for new restaurants in Edmonton. Ever. I could make a case for a couple others as best of the year, but Bündok's combination of outstanding flavours and flawless execution put them on top for me. A number of my favourite dishes in Edmonton can be found here, including their beautiful and refreshing sea bream crudo with apple, chili and Thai basil, the intensely delicious parmigiano soup with leaks and bacon, and the Parisienne gnocchi with brussel sprouts, squash and breadcrumbs. And don't forget the citrus posset, Edmonton's best new dessert. It secured fifth place in Air Canada's Best New Restaurant List of 2017. Some places have creative food and some have creative drinks; Clementine has both. Chef Roger Létourneau keeps things interesting with dishes like Atlantic lingcod poached in blue cheese butter, tobacco-smoked triple creme brie and sourdough rye pancakes with jambon de Paris. Need help decoding the cocktails? The scientists behind the bar will be happy to oblige. Cheers! And, pass the Becherovka, please. It would be a disservice to not mention Alder Room in this category – simply for its unique concept and rave national reviews (I have yet to dine there myself) – but I'm giving the nod to the much-less cost prohibitive Biera. This is Blind Enthusiasm's brewpub, but you will not find typical brewpub grub here. The menu bursts with creativity and risk. I love the crispy skate wing fish. End the night with the berry marshmallow (even marshmallow-haters – like me – like it!). Chef Christine Sandford has a real talent for making memorable dishes from simple ingredients. Her sourdough nuggets with Alpindon beer cheese and sumac is an absolute showstopper, as are the cherry tomatoes with lovage oil, fiddlehead vinegar and marigold blossoms. Biera is going to be a beacon of quality and creativity that draws diners worldwide for years to come. 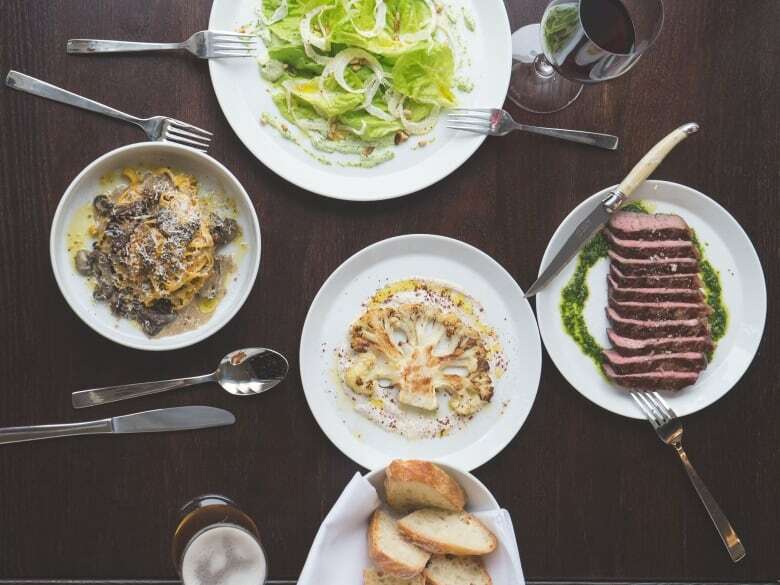 Classy space, well-executed food, great service: three reasons to seek out either location of XIX. Five-spice bao benny, banana french toast, chicken and waffles with maple whisky sauce? All excellent choices. If you're in the mood for Chinese brunch, also known as dim sum, this is the place to go. It's been around forever, and knows what it's doing. The restaurant is very large and busy, meaning there's lots of selection. Make sure to order the pork dumpling with the red dot on it and the shrimp dumpling in the translucent-white wrap. Don't be afraid to try the chicken feet. Go with at least four people as most dishes come in fours. Make it for 10:30 a.m. – by 11:30, you'll be waiting in line as the food carts torturously roll by. The third restaurant for the owners behind The Next Act and Meat, and food-wise, it might just be their best. Pip's elevated take on comfort food focuses on quality, and it shows. Eggs and bocconcini is a piping hot dish of delicious tomato sauce and cheese, with the eggs baked right in it. In business for 20 years now, the space is homey with lots of plants and local art on the walls. The service is genuinely friendly and their playlist is jammed with good tunes. The food is creative, packed with flavour and they definitely don't skimp on ingredients. Go for the unicorn burger (truly a rarity to find a vegetarian burger this good!) or the green onion hemp and flax cakes. 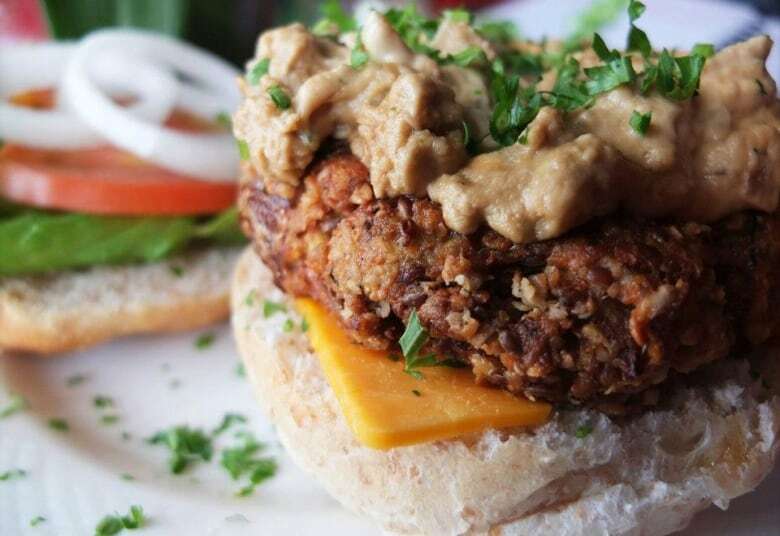 More and more people are going meatless. Happily, the choices for plant-based meat are getting really good. Open since 2002, Padmanadi is a veteran in the meatless meat game in Edmonton – and I've never had a dish here I didn't like. I can't say you won't be able to tell the difference between textured soy protein and the real thing, but you won't care. It's delicious in its own right. I always order the roti canai and the mushroom deluxe. And, as stated 45 ways to Edmonton like a local, be sure to get a hug from owner Kasim before you leave. Roasted cauliflower and sage pizza with provolone and lemon. OK, so maybe it would be cool to pick a wholly-vegetarian restaurant here, but this pizza is a fantastic example that proves that skipping the meat doesn't have to mean skipping the flavour. This true sourdough, slow-fermented dough, and perfectly seasoned toppings might make you forget pepperoni even exists. This is one of the few places in the city for late night food – they're open until 4 a.m., seven days a week, 365 days of the year. The ginger beef and deep fried squid are great, but if you get to know the servers, they just might cook you up a dish that's off-menu. They deliver, but you really want to dine in to get the full experience. 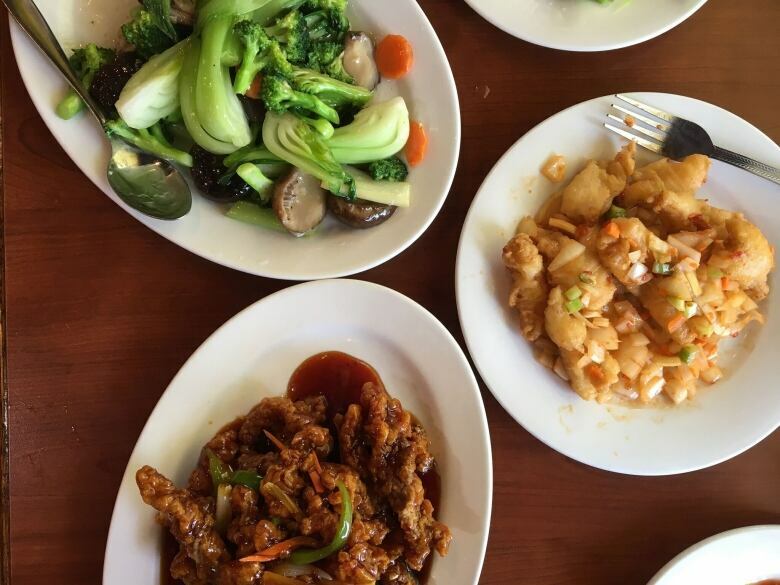 We've all heard in relation to Chinese restaurants: "the worse-looking the restaurant, the better the food." It's not a golden rule, but there's truth to that statement, and my pick in this category reflects that adage. It looks rundown, the hours are erratic, the decor is dated and the service is indifferent (if not occasionally rude), but the food is good. The menu here offers dishes you won't find anywhere else in the city, and that's where it excels. Get the deep fried dace fish skin, ginger fried rice, sweet and dark vinegar pork hocks, and chicken and vermicelli in Chinese herb soup. And, if you're really adventurous, the white rice fish omelette. There is "Canadian" Chinese food here. Don't order it. When I think of Edmonton classics, The Barbecue House immediately comes to mind. I've been stopping by for the super combo (BBQ pork and BBQ sausage over rice and noodles) for 20 years – which seems like nothing, given they've been doing this since 1980. All the meats are barbecued in-house, and yes, you can order just the meats like at a deli counter. Heck, you can even bring in your own turkey and they'll barbecue it for you for a paltry $1.50/lb. Next Thanksgiving just got tastier and a whole lot easier. Praha is Czech for Prague, and this restaurant has been serving eastern European-style dishes for 40 years. Their beef tartare is legendary. The room is always full of energy, lots of chatter, people bent over clunky antique tables, digging into goulash, schnitzel and smoked pork hocks. The key to good pho is the broth. It should be clear, beefy, and rich in spices – star anise, cloves and cinnamon. When it's done well, it warms the soul. In Edmonton, I find the best broth at Phõ Hoàn Pasteur. Personally, I like meatball, tendon and brisket in my pho. Bean sprouts, thai basil and a squeeze of lime complete the dish. No need to add hoisin or sriracha in my opinion. Pho, you complete me. Sometimes saying a place hasn't changed in decades is an insult, but at Bauernschmaus, it's definitely a compliment. The room is homey and warm, and the food is unabashed Austrian comfort food goodness. Every entree comes with a starter salad and every table has a basket of buns and butter. What says 1980 dining more than that? You're not going to find tweezers for plating or fancy cocktails here, but you'll struggle to find a better wienerschnitzel and potato salad in Edmonton than this. Rolando and Samantha Sandrea of Venezuela are happy to feed you the foods of their culture, specifically arepas, a hefty, Venezuelan sandwich. either vegetarian or packed with meat, cheese and veggies, and a heck of a deal at $8-$10. This place embodies beauty in simplicity: pretzels to perfection. The $2 basic butter and salt does the trick, but I love it paired with the dill and onion cream dip (an extra $1). If you like cheese on your pretzel, get the guajillo and feta for $3. All the pretzels come to you hot out of the oven. There's often a lineup out the door, but it's worth the wait. What I love about Zwick's is that you don't have to spend a fortune to get a really well-made and delicious meal or snack. Pick your favourite pretzel, whether its basic, cheesy, or even sweet, full pretzel or a bag of nubs. Plus, Zwick's has one of the best sandwiches in Edmonton, the McZwick, featuring roasted chicken, candied bacon, mozza and paprika aioli on a pretzel bun. This is one of the first places I take out of town guests. 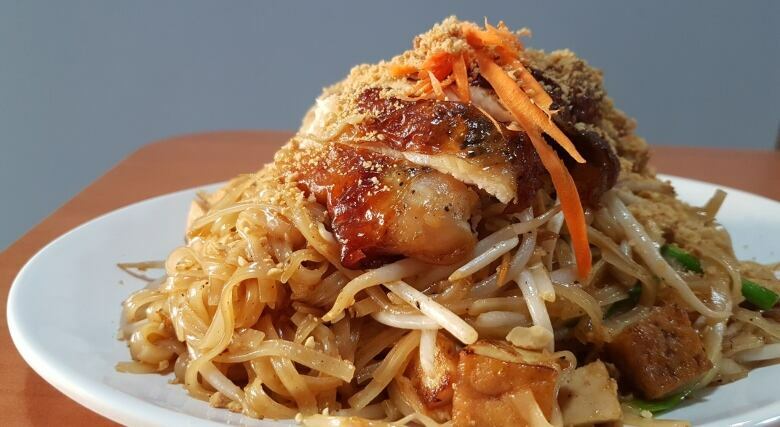 Owned by the same people as Sawadee in Sherwood Park, Chix Shack serves up authentic Thai food with chicken as the menu's focus at their 109th Street location. It's all about fresh, bold, layered flavours cooked by people genuinely thrilled to have you walk through their doors. You can get takeout from virtually any restaurant in Edmonton these days with things like SkipTheDishes, so I've decided to choose a place specifically set up for to-go food. 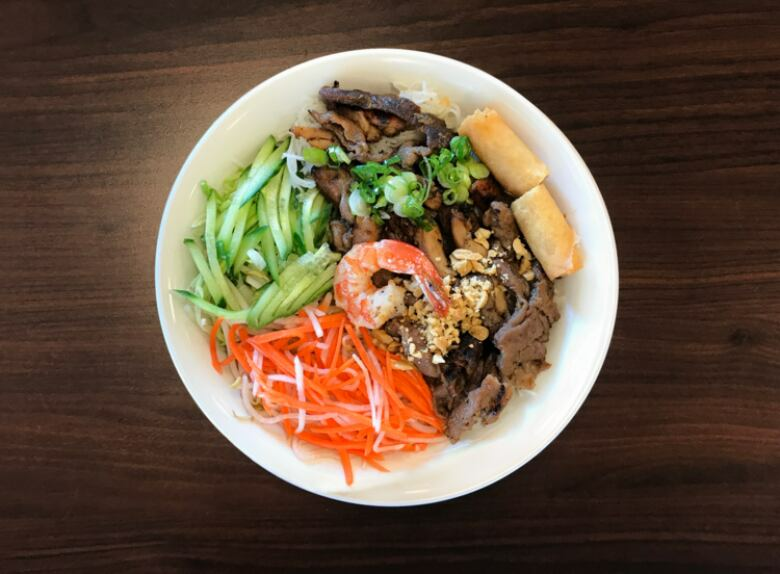 Tiffin Fresh Kitchen, open in south Edmonton since September, offers Indian fast casual. You fill up a tiffin with your choice of rice, vegetable and meat dishes. Then, top it off with yummy finishes like roasted garlic and cashews. Make sure to sop up all the rich, and generally spicy, sauces with fresh naan. There's no table service, but the space is decked out with some cool art if you want to eat-in. A second location is opening downtown in Spring 2018. This Greek take-out counter in the west end gets my vote because on top of providing time-tested Psalios family (original Koutouki owners) favourites like rosemary roasted chicken, Greek salad, spanakopita, and their famous lemon potatoes, you get something that is a take-out rarity: vegetables! With a minimum of two people, get the meze, which gives you a great mix of everything for $19.50 per person. It's a great spot to stop for a quick lunch as well. Olive oil cake, ham and cheese tartine, breakfast sandwiches. It's hard to pick a favourite, but one thing you have to try is the Kouign Amann, a heavenly, layered Breton pastry. The space is always warm and inviting and with free Wi-Fi and good music, it's a great place to bring the laptop and do a bit of work. The ever-increasing number and quality of great independent coffee shops in Edmonton makes me proud, but this is my go-to. Their flat white is my favourite coffee in the city. You'll also see a $7.50 coffee milkshake on the menu there … get it. You deserve it. For a cool spot to drink your coffee in-house, head to Coffee Bureau. It's tiny with a cool vibe, and the Jasper Avenue location makes for great people watching. Pastries supplied by the excellent FanFan. Some love as well for Iconoclast Koffiehuis. 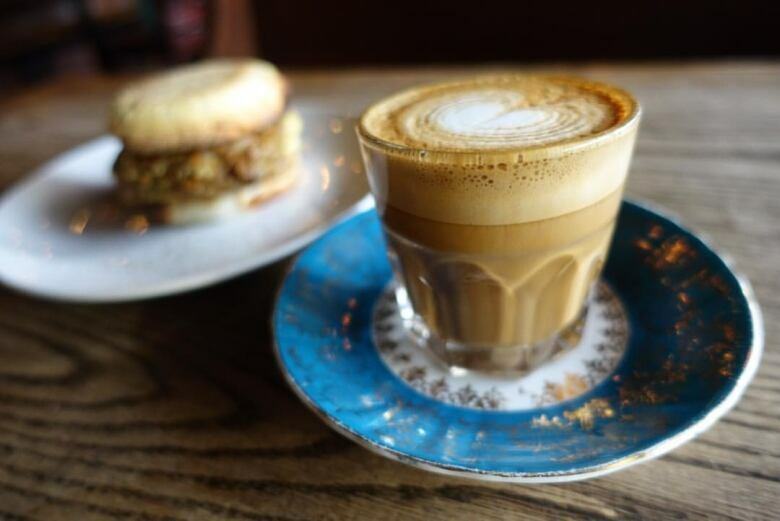 A coffee shop is about much more than the coffee, and Lock Stock has the whole package for me. Great coffee of course, but it's made all the better with a roster of baked goods that is a step ahead of everyone else. If you haven't tried their Kouign Amann yet, put down your phone and go right now. Open for a year and there are still lineups. It's no wonder. These fluffy treats taste as good as they sound and look: raspberry rosewater, maple snickerdoodle and pear chocolate. Is it worth driving 20 minutes south of Edmonton to go to a vegan cafe for cake doughnuts? Yes. You won't find any dry, flavourless fried dough here, applesauce and coconut milk make sure of that. I also found their soy Nanaimo bar doughnut a tasty delight. 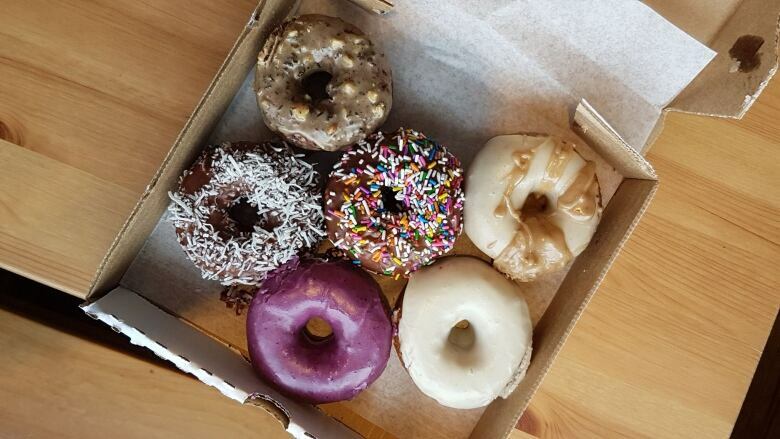 These days, there are great doughnuts everywhere you look in Edmonton – but when you strip away the fancy topping and get right down to the dough, Bliss makes the best. These are simple, straight-ahead doughnuts with a soft and airy base you just can't beat. Understated, unpretentious and cozy venue with rock solid comfort food under the direction of Brad Lazarenko. French onion soup, roast beef, duck confit and cheese fondue. Also a great place for Saturday and Sunday brunch. Pip describes itself as "a cute little space in the heart of Old Strathcona." I like this trend of small, intimate restaurant spaces – this one has just 28 seats. But don't worry, the menu is big on flavour. 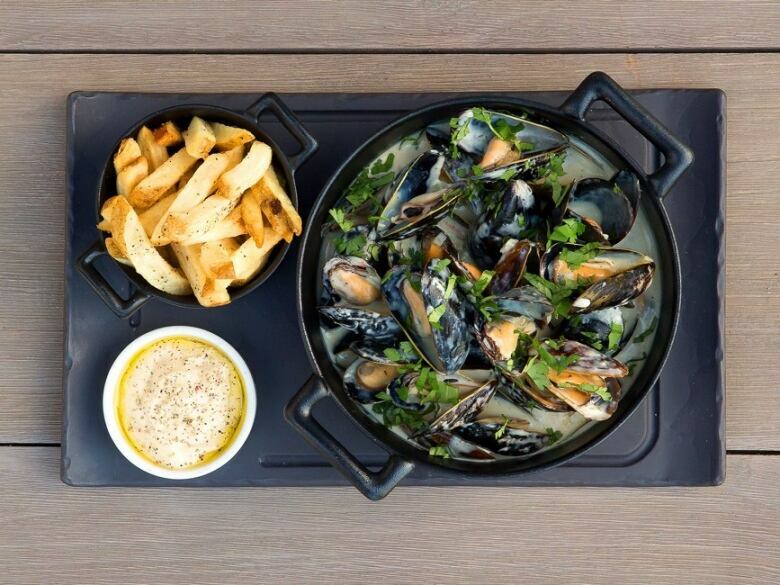 It's bistro fare, inviting, easy, and satisfying. I haven't heard one negative review of a dish on the menu, and can personally vouch for the trout on bread (spectacular sourdough made specially for Pip) and the chimichurri steak. The pork belly is the most popular dish, and crispy and succulent in all the right places. A well-made sausage is a thing of beauty, and Fuge is grinding out perfect 10s. I always have at least one pack of Fuge sausages in my freezer, and I think you should too. They've got everything from the chorizo chili verde to the special whiskey-smoked bratwurst, and even the tasty breakfast sausages are top-notch. It's no wonder a number of Alberta's finest restaurants have begun serving Fuge sausages. Single focus food – do one thing and do it well. We're seeing it with Zwick's, Salz, Mayday Dogs and Honest Dumplings. We're going back to the art of craft, and this is good. If there is one person to watch, though, it's Mai Nguyen, a finalist on Master Chef Canada, whose Vietnamese food is a thing of beauty. She's currently working part-time at Prairie Noodle Shop and part-time at Biera, but watch for her pop-ups and grab a ticket if you can. Looking forward to trying out two new places opening this month: Ohana Donuterie's storefront just off Whyte Avenue and a new vegan/vegetarian restaurant in The Quarters by the folks behind Cafe Mosaics: The Moth Cafe. More, more, more ... I expect to see a great follow-up on an outstanding 2017 for Edmonton restaurants. More accolades, more recognition for our great dining scene and more talented chefs pushing each other to always be better. The rest of Canada is taking notice that Edmonton is coming on strong and we're not going away.